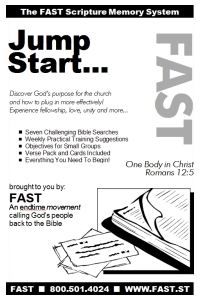 This powerful training program may just revolutionize how you think about God's church. Learn how to plug into your local church more effectively and experience the blessings of fellowship, unity and love God created you for. Study these challenging lessons for yourself, and then use them to help someone else. Great for new members, individuals transferring into your church, and members who have been missing for awhile but are coming back.